Manulife is one of the largest financial service organizations in Hong Kong. Since the end of September 2017, Manulife has been the #1 Mandatory Provident Funds (MPF) scheme sponsor in terms of both assets under management and net cash flows. ManulifeMOVE is a customer rewards program designed to reward you for your movement throughout the day. Whether you’re walking, cleaning or jumping, let your daily movement earns you cash rebates towards your policy premiums. I was involved in the design sprints as a UX designer and worked closely with the product strategist. I have researched on HealthKit, WatchKit, various health wearables ecosystem(Watch OS, Misfit, Fitbit) and also conducted usability test during design sprint. Later, I worked as an iOS software engineer during the development sprints. I facilitated the communication between the design and development throughout the project. And financially rewarded by doing so and improve the overall user engagement. We explored each user's behaviours by learning what motivates them to exercise, routines, reasons behind the dropout, their preferences in using health gadgets and apps. Some users were motivated to complete activity rings on their Apple Watch if there was only a little left to close. We know that by creating interactive hints and clearly indicating the user's activity progress will give users more confidence to continue their routine. Users expressed different commitment to variable reward from health-related apps. Based from the app that offered, majority users preferred practical voucher such as supermarket voucher or cashback even if it was just 5SGD value. For user who used to not exercise, variable rewards that offered to motivate some users who were inactive in exercising might be a temporary attraction to them after a period of time but they were willing to sign up for it. We designed the MOVE app to have fun conversational messages and different types of notifications that relevant to individuals. Notifications come from activity or badges completion to congratulate user, proactive messages on certain days of the week to encourage user to keep up the good work and also social remote messages to create connections and friendly competition between friends and family. Apple watch further enhances the notifications that felt like a close buddy reminds user to move from time to time. As there were two versions before our app re-design, we would not want to catch users by surprise with dramatic changes compared to previous app versions. Things still have to be intuitive enough for users to get what they want in the new version too. As each of the supported health wearables has it's own method of tracking a user's health records, we had to define a set of rules to ensure we covered all the edge cases so that no data was lost and consistent point system during the platform or device tracker transition. If the data loses accuracy, it is no longer seemed reliable to the users and therefore has lost integrity. Based on previous app version, we skipped the long on-boarding to let public users to play around and understand ManulifeMOVE as soon as possible. 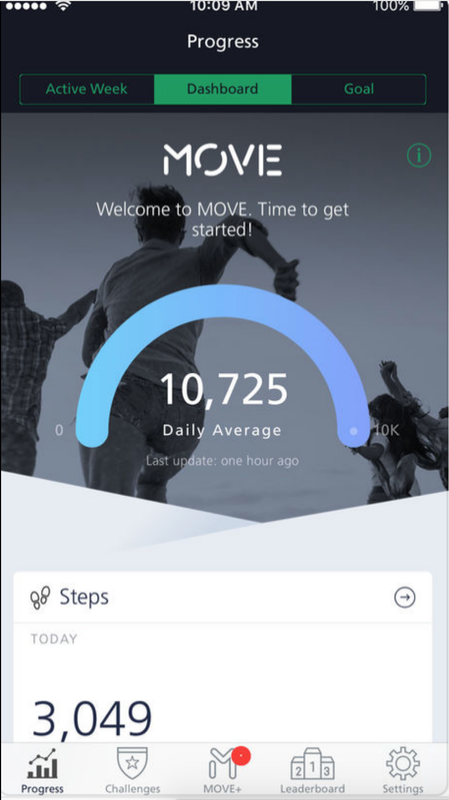 They were able to participate the steps reward program but only policy owned users were able to get premium cashback up to certain daily average steps. By knowing how easy they can achieve the steps and get cashback for their premium, this creates an opportunity for them to consider engaging Manulife for their insurance. 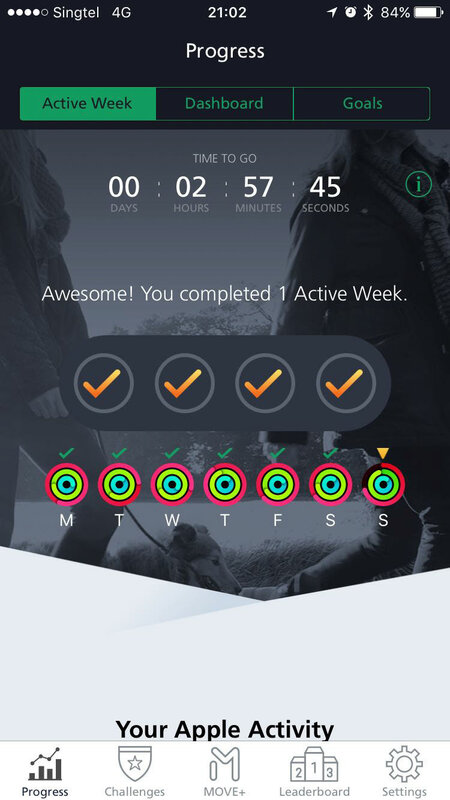 Based on the business requirement of Earn-Your-Apple-Watch reward program where user needs to achieve the weekly goal of closing all 3 Activity Rings on your Apple Watch at least 4 times weekly and walk 10,000 steps daily on average that week, we need to make sure the design was perfectly illustrated in Apple Watch and the app. 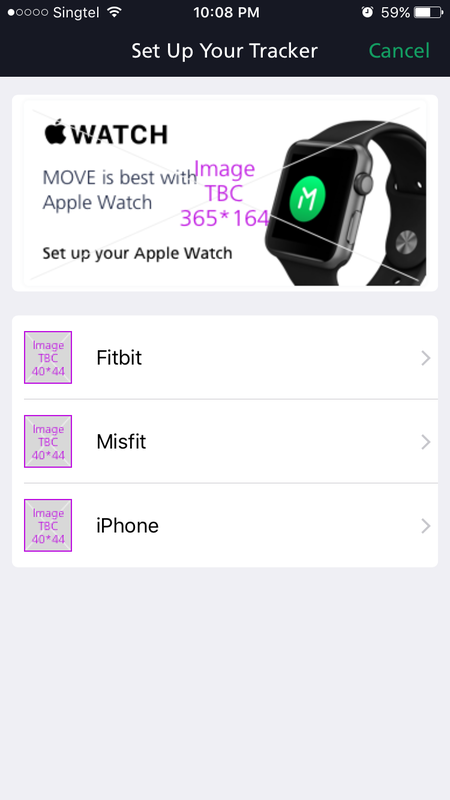 We limited two screens in Apple Watch and retested the copy-text with users to ensure the design was intuitive enough. This was first time I worked closely with a product strategist and sometimes business requirements were not be at par with user experience. Finding a balance between is the key. We had to consider the reusability and the roadmap of the app as it will role out to different regions as well.